In Phillips Fox’s Spring, Heidelberg 1900-01 noonday might and the sunny palette of the Impressionists give way to the cooler, muted tones of the French Barbizon School, of naturalism touched with romanticism. 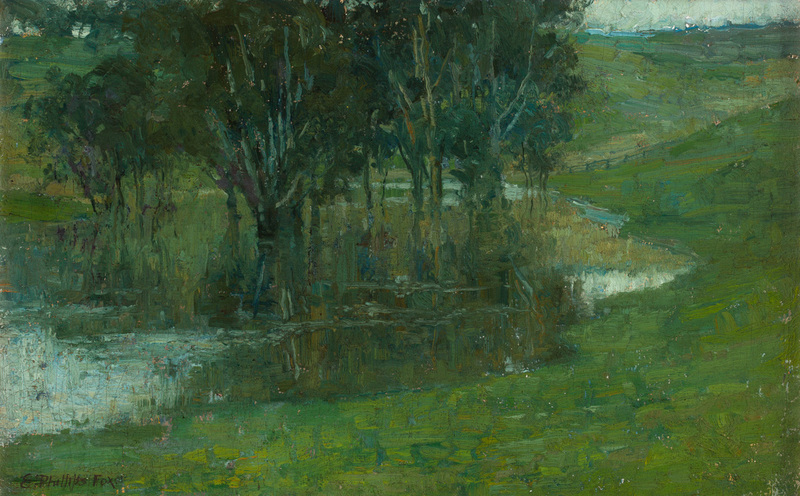 The textural richness of the foreground, applied with the broad brush of the Impressionists, nevertheless, captivates the eye, as do the emerald greens and vivacious lights reflected in the still waters. To download the full catalogue essay please click here.